Pour 1 oz vodka over a glass filled with ice. Top off with chilled root beer. 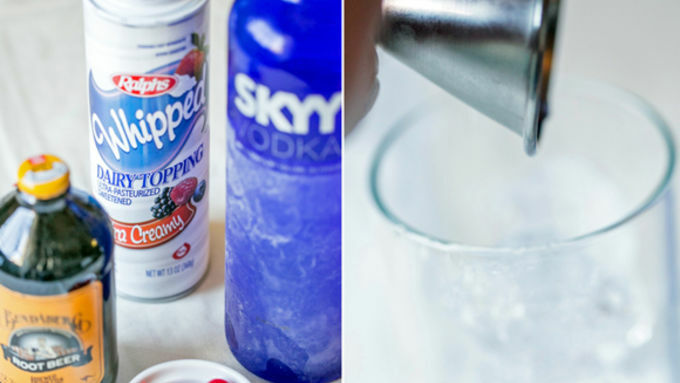 Add 2-3 tablespoons of whipped cream to the top of each drink, then place a cherry on top. Alternative idea: Add a scoop of vanilla ice cream for an extra twist on the classic root beer float! Voot beer? I've mixed rum and soda, flavored vodka and club soda, and many other delicious combinations, but this was my first time making a voot beer and the results were, well voot-a-licious! A voot beer is a vodka and root beer combo. You add a generous amount of whipped cream to the top and garnish it with a cherry. If you like root beer, you will totally enjoy this spiked concoction. 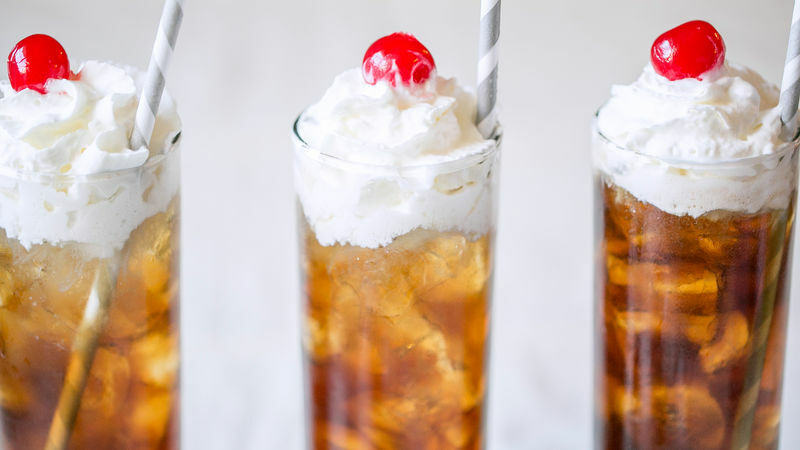 I personally liked it when I mixed the whipped cream in with the root beer and vodka... it added a creaminess and reminded me of a root beer float, which I love! I would make these at my next party because they're super easy to create, a unique twist and taste good. You can also experiment with different root beer brands. There are some really neat small breweries that make some seriously delicious root beer. 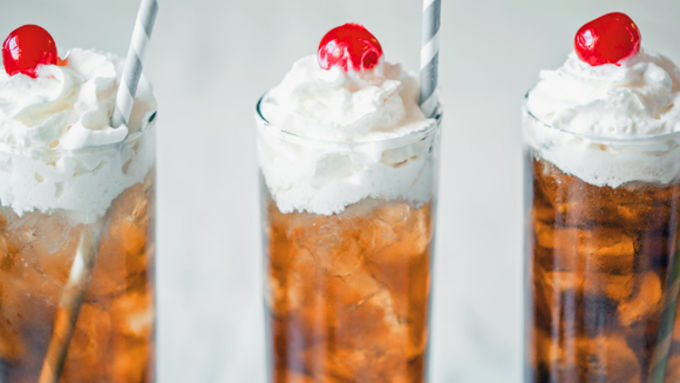 To make them, you'll need vodka, root beer, whipped cream and cherries. Pour 1 to 2 ounces of vodka over ice... depending on how strong you like them. Then top with root beer. 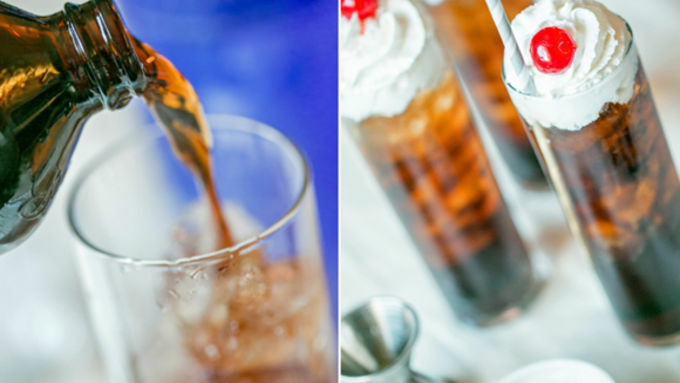 Add a good amount of whipped cream and garnish with a cherry and old-fashioned stripy straw. Have fun and experiment with variations of the Voot Beer: • Add ice cream and make it a Voot Beer Float • Swap out the root beer with cream soda. • Try a flavored vodka, such as whipped or cake-flavored • Add grenadine for an extra cherry splash Any way you make it...just enjoy!